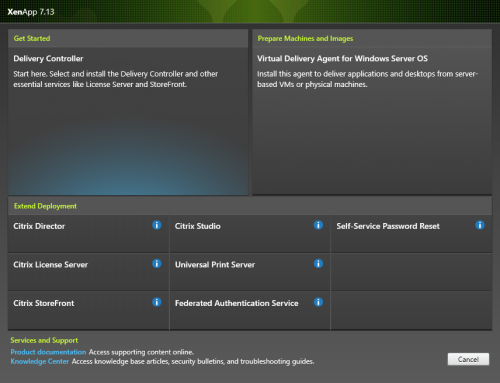 Citrix & VMware – Installer Mess! At first I want to wish you all a happy new year. I had planned a different blog post as the first one but I had no chance of preventing me writing down these thoughts about the installers of Citrix XenDesktop (respectively XenApp) and VMware Horizon View. Both companies have large-scale installations out there and both are on the market for a very long time. But although they should have experience with enterprise environments and customization possibilities for their software components they still have room for improvement. Some weeks ago Citrix released their stand-alone installer for the VDA component. Until that time the only chance of getting the right combination of files and folders for a reduced package size was trial and error. Then putting files together and checking the installer logs for errors during installation. That way we were able to install the reduced packages for the Controller, VDA and Studio components back from Version 7.0 without the need of using the whole ISO from a network share. 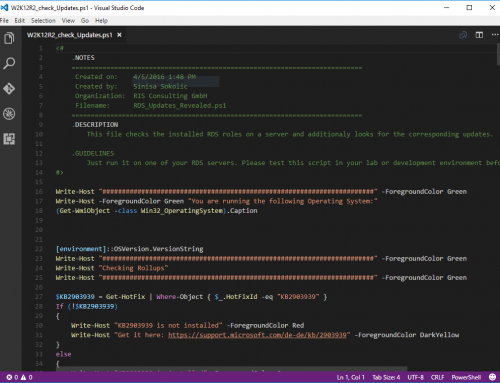 StoreFront is straight forward but what about the Controller component or the Citrix Studio? 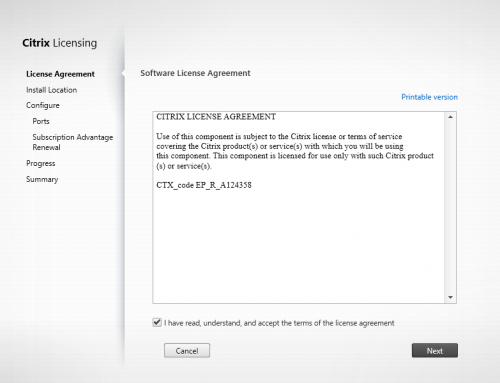 Have you seen the KB-article about manual installation of the Citrix Studio? No? Here it is: http://support.citrix.com/article/CTX127527. Is this something you would call customer-friendly? 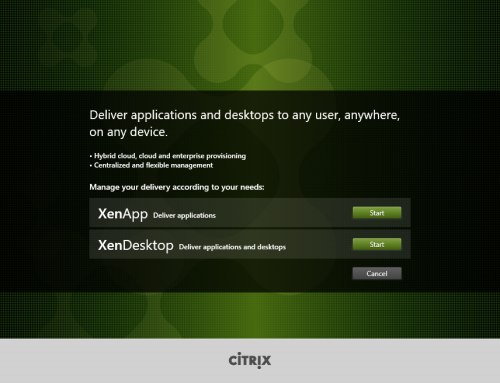 Citrix was marketing its new simple GUI installation from the beginning of XenDesktop 7.0. Take a deeper look under the hood and it looks differently. Please don´t get me wrong. I like the principle of creating small building blocks. But it doesn´t makes sense if I start giving packagers the “Desktop Studio_x**.msi” just to realize that there are some (or even more) things missing after the package has been deployed. The files and the documentation need some adjustment from Citrix in that case to make clear how things work. But… Not everything is bad about the installers. Once packaged these packages can be used for different environments. Citrix assumes we would use the GUI to install customer environments. I am an Consultant and want to script and automate things. And large scale enterprises don´t click, they deploy with SCCM or something similar. Lets have a look at how VMware does the job…. If you log in to your my.vmware.com account you are presented with a few download options regarding the installers for the infrastructure. Lets take the View Connection Server installer as example. This is one single file that is capable of installing the Connection Server, the Replica Server and the Security Server role. In my opinion straight forward until it comes to the point were you need to pair the security server with a connection server or the Replica Server with it´s counter part. Commandline options are ok but unnecessary complicated in my opinion. The installation commandlines and options should be as simple as possible to prevent quoting errors or typos. I suggest merging the Citrix and VMware developers to create the perfect installer experience :-). The Citrix XenDesktop installers are easy to use and generic. Configuration is done after the initial installation. But they are badly provided from the ground up, making it unnecessary complicated for packagers to reduce the footprint of the packages. VMware has the better concept for their installers. 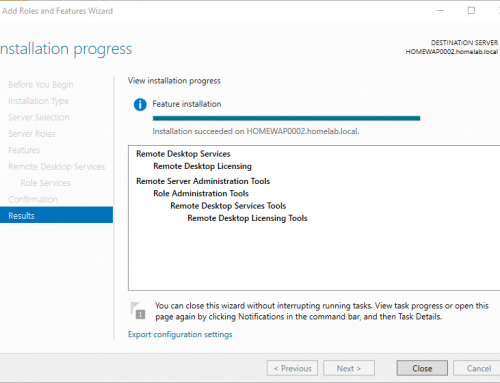 But if you dive deeper into the installation options and the need to configure some of the components during install, they lack of a generic possibility of installation. It can´t be simpler to install a infrastructure role. As long as you don´t have to install the System Center Suite, that´s another topic.